If you have a passion for off-road trail riding, you will love their guided rides. There are many photographic opportunities! Enjoy several loop options with a variety of challenges! Expect exciting narrow trails with some steep up and down slopes, cliff exposure and obstacles! Experience epic mountain views as you navigate the trails! 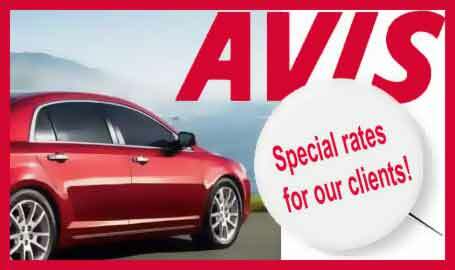 You will the love breathtaking views throughout your ride! On our Mountain Bike Tours, you can experience Hawaiian single track mountain biking on these tours. 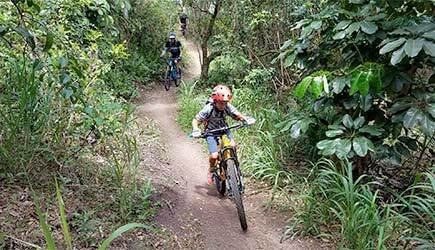 You will capture the thrill of trail riding as you explore the rain forest of Oahu on mountain bikes! 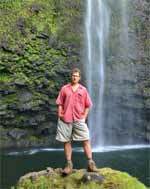 Bike Hawaii Tours is the longest running off-road mountain bike tour company in the state. Since 1999, they have led thousands of mountain bikers through lush valley trails, dirt roads and single track located in the Koolau Mountains of Oahu. Recently, they have switched gears and they are bringing mountain bikers a whole new experience at a brand new location. If you have a passion for off-road trail riding, and the skill to negotiate narrow single track, you will love their guided rides. Come ride the North Shore countryside under the tree canopy on a fun, purpose-built trail system. It is located on 850 acres of private property. The machine built trails are at sea level, so you will experience beautiful ocean views throughout your ride. The trails are fun for everyone with light challenge for skilled riders. There are several loop options with a variety of challenges from easy to ride dirt roads to single track with berm turns and wooden features. These trails are rated family friendly easy to moderate. Along the drive, there is a no-host lunch stop at the iconic north shore shrimp trucks. Tour includes: Complimentary round-trip transportation from Waikiki, Kahala, or Aloha Tower. Bottled water, and trail snacks. Gear provided: Giant mountain bike with suspension and disc brakes, helmet, & mountain bike guide. 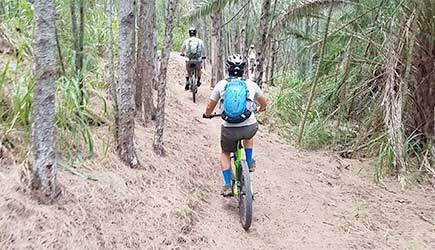 The beauty of the Maunawili Valley, majestic Koolau Mountain cliffs and stunning ocean views are the backdrop for this single track mountain biking experience. The ride starts with a 30 minute pedal up a dirt road before you enter the fun and challenging single track, which runs along the base of stunning cliffs that tower above. Riders are required to have experience in off-road mountain biking. Expect narrow trails with some steep up and down slopes, cliff exposure and obstacles such as loose gravel, roots and rocks and can become slippery when wet. Also, expect hike-a-bike sections, which are are common place in Hawaii. This tour is approximately 6-10 miles with up to 4 hours of stop and go riding out and back, and since this is a tour anticipate some stops. This trail is a fun challenge for experienced riders! What to Bring & Wear: Dress comfortably and wear good walking shoes. Tour includes: Complimentary round-trip transportation from Waikiki, Kahala, or Aloha Tower. Professional nature guides, bottled water, and trail snacks. Gear provided: Rain poncho, hip pack, optional rubber boots (bring your own high socks), mosquito repellant, Kona mountain bike, and helmet. Note: This trail is for experienced riders. If you are unable to complete it due to inexperience you will not be refunded. Restrictions: Children must be a minimum of 4 feet tall to ride a bike of their own. What to Bring & Wear: Biking attire and closed toed shoes are required. All of these Mountain Bike tours are available for cruise ship passengers docked in Honolulu, and pickup at the Aloha Tower Marketplace is included! Go for it!